We are in one of Minnesota’s best areas for canoeing, with two national wild and scenic rivers, the Upper St. Croix and the Namekagon. 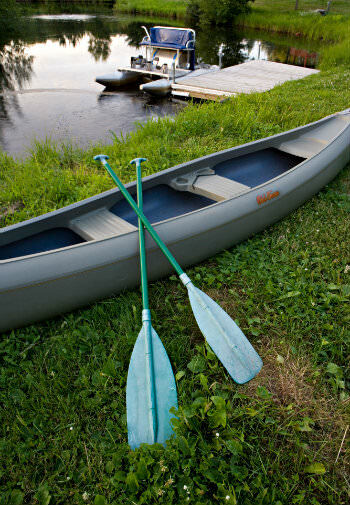 At Woodland Trails Bed and Breakfast, there are canoeing options for novices and experts. 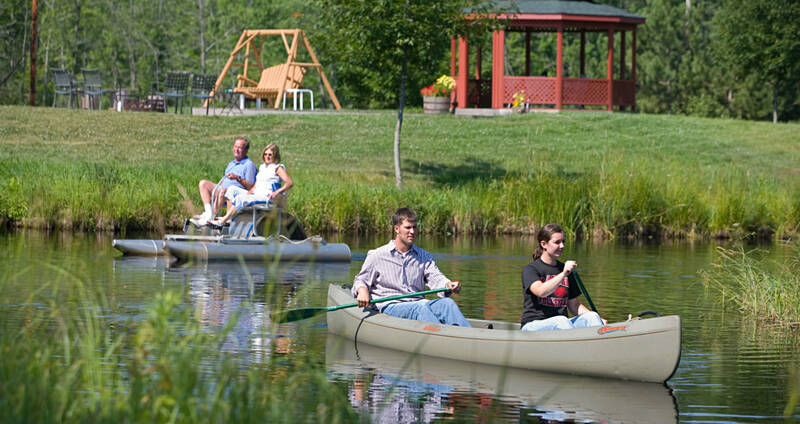 For the novice, use our canoe for a trip around our private pond, Grace Lake Too. A little more adventure is afforded by the nearby St. Croix River Scenic Riverway. Paddling down the river gives you a feeling of real wilderness since no buildings are visible from the river. On a map of the St. Croix, you can see a short trip of just a mile and a half that takes less than an hour runs from Lower Tamarack Landing, which is just down the road from Woodland Trails Bed and Breakfast, to Thayer’s Landing which is at the Highway 48/77 bridge. A little longer trip of 4-1/2 miles can take two or three hours and runs from the point where the Yellow River enters the St. Croix to Thayer’s Landing. For either of these trips, you can use our canoe and we will arrange a shuttle for you. On a warm summer day, floating in an inner tube down the St. Croix can be luxurious! Pardun’s Canoe Rental does tubing trips out of Danbury. Two tubing cautions: Of course, bring sun screen! Also, we suggest taking the shortest trip possible, about one hour. Since the St. Croix is a scenic river with no buildings, you can’t get out of the river between the launch place and the bridge where you are picked up.